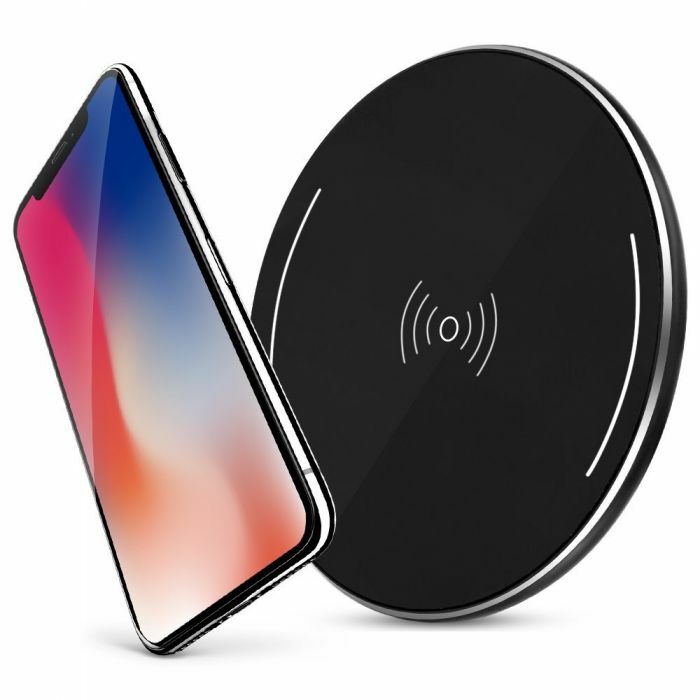 Wireless Charging: No cables or USB interface required.Starts the moment you place down Qi-enabled device or device equipped with a Qi-compatible cover. Note: Remove protective cases to ensure effective charging. Integrated Design: LED indicators no annoying lights during night charging and 0.4in thickness, Small and Light ,delivers a modern, premium appearance, making it simple and fashion.Carry Conveniently, and Fit to Charge in Office, Home, Car etc. Compatible Devices: iPhone 8/8 Plus, iPhone X,Galaxy Note 8, Galaxy S7/S7 Edge, Galaxy S6/S6 Edge,Galaxy S8,Galaxy S8 Plus（can only support standard charging speed),Nexus 4/Nexus 5/Nexus 6,Nokia 9kia Lumia 920/1020/928/Lumia 950xl /950,Huawei Mate 10,HTC 8X (not UK version) / HTC Droid DNA / Rzound and all Qi-enabled Devices. *Please keep the charger away from water or other liquid. * if you need to clean the charger, please make sure it is not connected power supply.